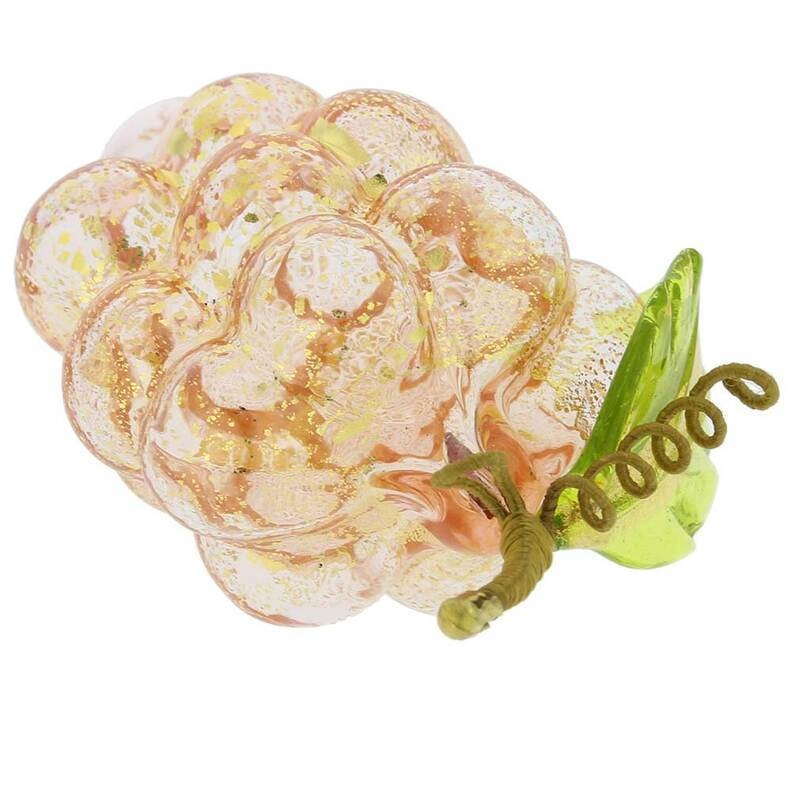 Stunning, artistic and exquisite, this sparkling blown Murano Glass Bunch of Grapes looks so exquisite as if it's come straight out of an old masters' still life painting. 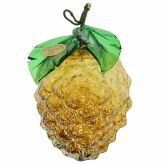 With its fine details, amazing tender color, and generous dusting of 24K gold complete with a dainty green leaf and a delicate stem with a loop at the top, this bunch of grapes figurine is a marvelous creation of Murano Glass artists, one that leaves you in awe of its beauty. 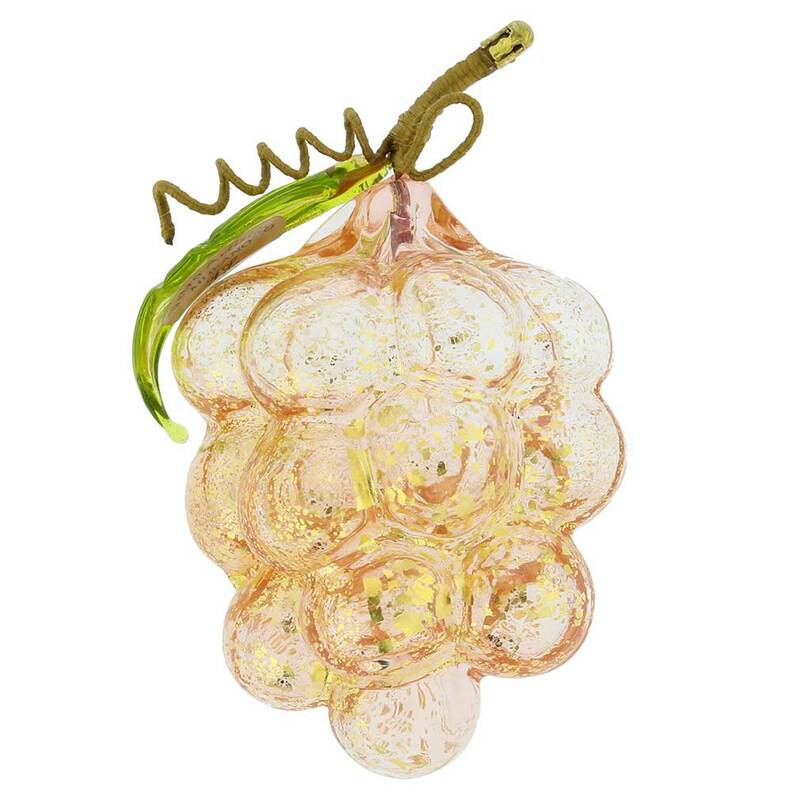 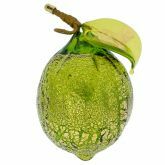 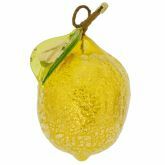 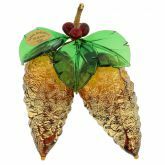 An amazing gift any time of year, these Murano Grapes are especially perfect as a Christmas gift to yourself or the special people in your life, and will look lovely when hung on a Christmas tree using the attached loop, or displayed on their own. 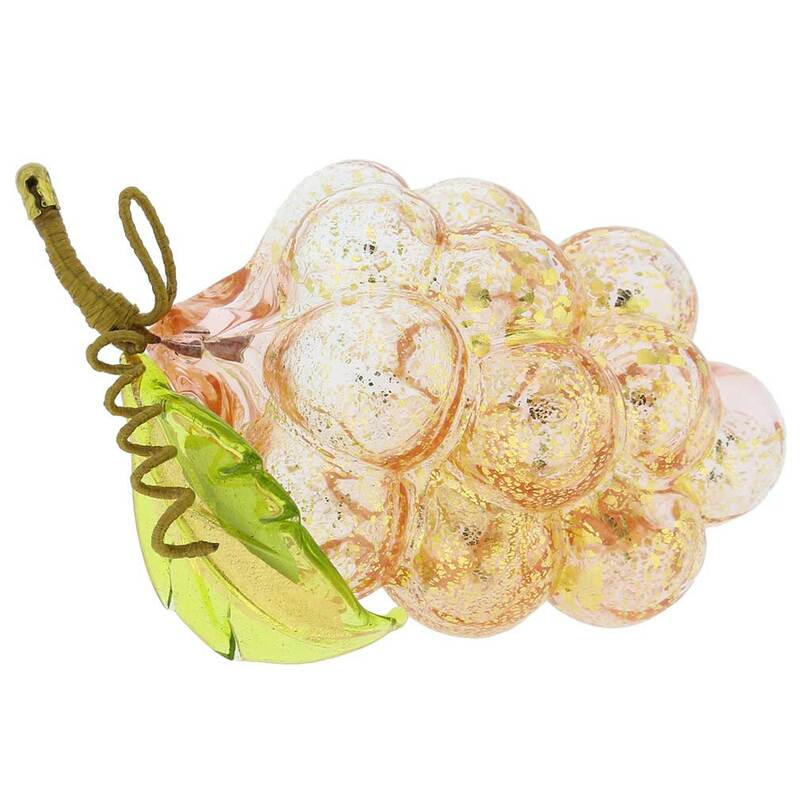 This elegant Venetian bunch of grapes handcrafted under a small flame by top Murano Glass artisans in their family workshop makes an enchanting Venetian accent in your home any time of the year and instantly evokes the beauty of famed Italian countryside and the festive aura of Venice. 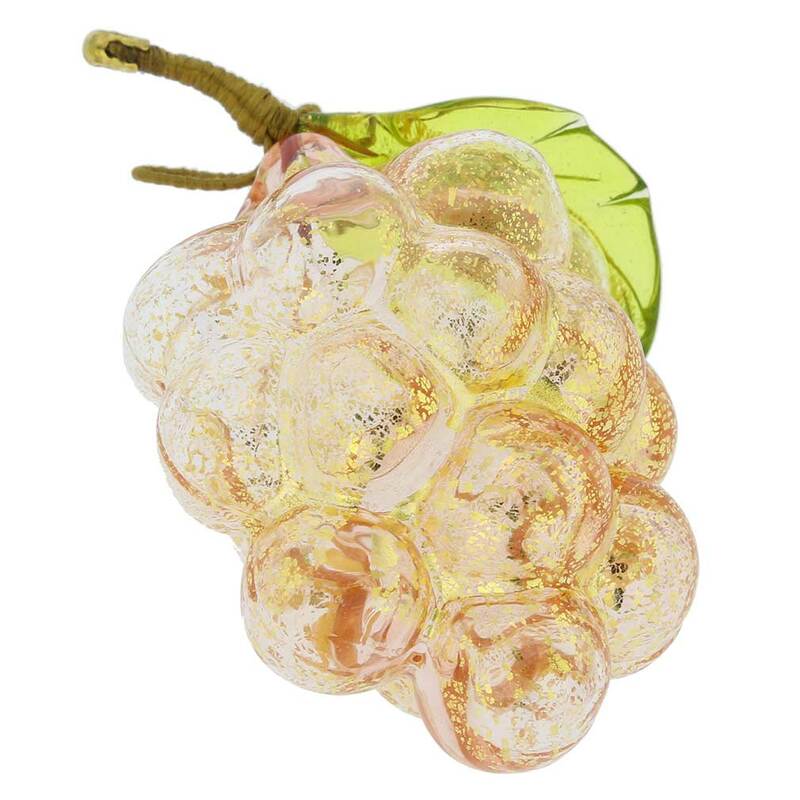 Measurements: This Murano Glass bunch of grapes figurine is approximately 3 inches high and 2 inches wide. 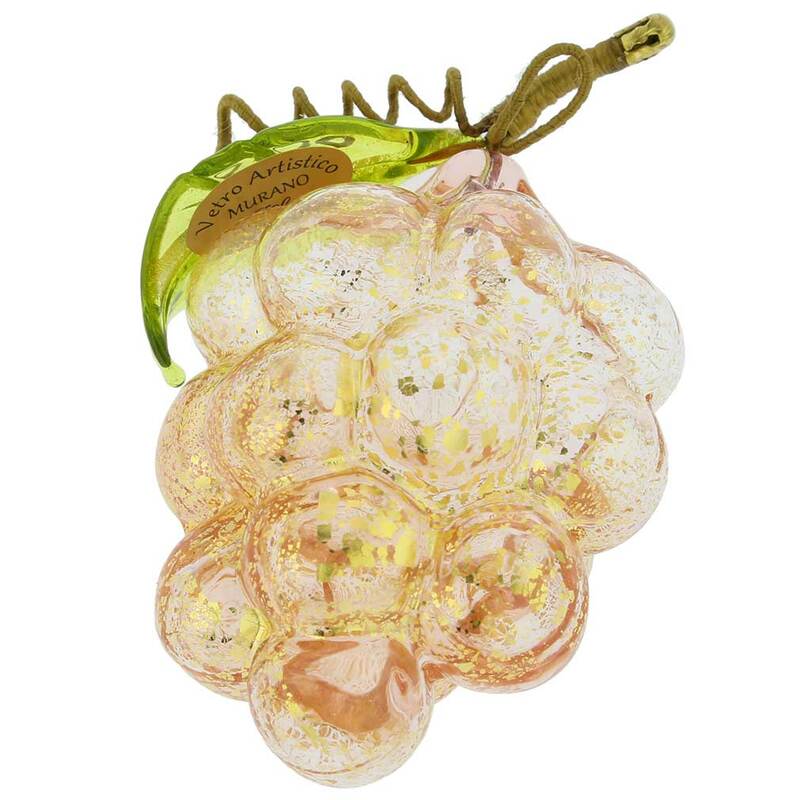 Because each grapes ornament is a unique work of art made by hand, some variations of sizes, colors, and patterns are possible. 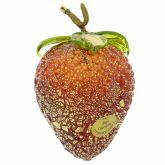 These do not constitute a defect but rather prove that this is an original one-of-a-kind artisan creation.